When to Scrap Your Car? Is it Time to Scrap Your Vehicle for Quick Cash? Did you know that the older a vehicle gets, the harder it is to find spare parts? Also, keeping it in an excellent working condition is hard. What about the right storage facilities for your old car? All these problems are unavoidable. Sooner or later, you will find yourself in this situation. Because every new car will one day wear down. So, when is the best time to scrap your car? No idea! Don’t worry. We, at Top Cash for Scrap Cars, will guide you on the best timeline to do that. If your vehicle matches any of the following items, it it most likely best to scrap your car now. There comes a time when a month doesn’t go by without you, calling a mechanic. A car is an expensive investment; hence the repair is costly as well. Once a vehicle starts needing ongoing repair and maintenance, it won’t stop anytime soon. The expenses of repairs over time will be higher than buying a new car. So, why don’t you dispose of it and get a new one instead? Has your vehicle given up while driving? Not just once, or twice. It is illegal in almost every country to drive an unworthy vehicle. Not only are you putting your life on the line, but also jeopardising the lives of other road users as well. It is time to give it up and get another one. Visit us, and let’s get you started on this scrap car journey. For whatever reason, you’ve decided to dispose of your vehicle. However after months of trying to sell it, it dawns on you that no one is interested in that car. It is not that the price is too high. Some what, the anaesthetic features are diminished and the functionality of the vehicle has reduced as well. If that time comes, scraping your car is another option at hand. With car removal companies like us, we will take your vehicle off your hands, no matter the condition. The convenience that comes with buying a car is incredible. Your travelling schedules are now as flexible as ever. One problem though; the car’s fuel consumption is just too high! You start reminiscing the cheaper transport on public means. It doesn’t have to end at that, scrap your vehicle and get a newer model that doesn’t consume too much fuel. 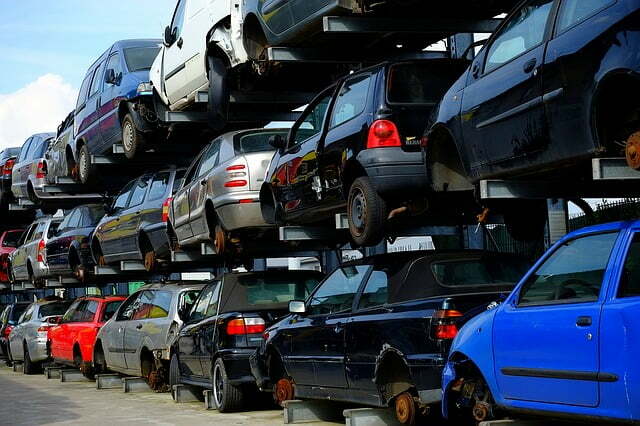 At Top Cash fro Scrap Cars, we’ve got you covered on all your scrapping needs. No need to wait until it’s too late. Contact us and let’s do a quality deal together.